NFL Rumors: Is Rex Ryan Planning to Play Tim Tebow at Running Back Against the Patriots? 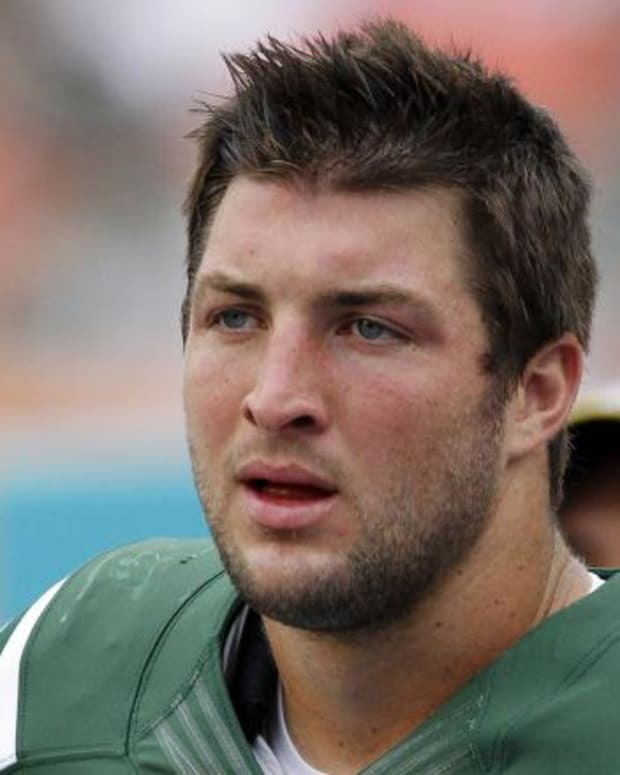 When the New York Jets randomly traded for Tim Tebow this summer, nobody really understood why they made that move. It just didn’t make any sense. He wasn’t a better passer than Mark Sanchez. He wasn’t going to be given the starting position. And really, from the very beginning, nobody in the organization could state what specifically his role would be. The confusion has only grown in recent weeks. Despite the fact that Sanchez has been pretty unimpressive this year, Jets brass seems adamant in their refusal to give Tebow any legitimate time at quarterback. It would be understandable if this team were winning and the powers that be didn’t want to rock the boat, but the Jets are terrible. Don’t let their record fool you – they’re terrible. They might be the worst team in the AFC East, actually. During a press conference on Thursday, Rex Ryan suggested that he may compound the initial mistake of getting Tebow but not playing him at quarterback by instead inserting him at running back against the New England Patriots. "That&apos;s a possibility," Ryan said (via USA Today). "The thing about Tim, with him being a football player like we&apos;ve always talked about, by playing quarterback he knows all the positions. So can you plug him in at running back? Can you plug him in at tight end? I think the answer is yes." That’s a joke, right? That’s just Rex being Rex. No way he’s actually thought this through to the point of determining what kind of running back Tebow would be. Right? Right? "You start with his skill set, but his skill set would be more based on power," Ryan said. "He&apos;s not going to be a blazer compared to other running backs. He&apos;s got power." "Shonn brings a ton of power with him," Ryan said. "I don&apos;t know how different that would be. Shonn Greene has been a good back in this league and he still is. That&apos;s why he&apos;s our starter." It would be different in the way that one guy is an actual running back, and the other is a circus act your owner brought in for no apparent reason. "It&apos;s not like we&apos;re going to put (Antonio) Cromartie back there," Ryan said. Of course not, that would be stupid. Running back is no place for cornerbacks – it’s a place for quarterbacks. NFL Rumors: Are the Jaguars, Jets Discussing a Tim Tebow Trade? NFL Rumors: Tim Tebow to Demand a Trade from Jets?